As this chart depicts, atmospheric CO2 growth has been on a fast-track growth curve. CO2 levels have been accelerating up since 1960 - true relentless growth. The dogmatic and conventional global warming hypothesis claims that this type of CO2 level growth will cause a dangerous increase of both atmospheric and surface temperatures, thus increasing atmospheric water vapor - i.e., humidity - leading to a positive feedback loop of non-stoppable accelerating global warming. Clearly, as this chart of empirical evidence reveals, that has not happened. Atmospheric humidity has actually declined, while the atmosphere and ocean temperatures accelerate, decelerate and often develop cooling phases. Unlike the monotonous, steady state, fast CO2 growth, the major climate measurements are highly variable, obviously unlinked to the CO2 input from humans. However, per the evidence and the newest research, a case can be made that the non-acceleration and variability of global temperatures for the last 15+ years may have more to do with the 11-year cycles of sunspot activity not being as strong during recent solar peaks than the relentless CO2 growth. Note: The dark purple, blue and red curves represent centered 37-month averages. The non-centered 37-month averages for CO2 (cyan dots) and RSS atmosphere temperature (green curve) were superimposed on the original chart found here. Article: The establishment climate science experts have long pushed their favored policy of fossil fuel energy production being replaced by renewable energy sources. The indisputable result has been a literal green energy fiasco in many countries as political leaders fall all over themselves to make taxpayers massively subsidize the green energy projects of billionaires and powerful corporations. Yet when informed high-tech analysis is applied to an objective review of renewable green energy, it becomes readily apparent that current renewable energy options are abject failures on all counts, including the goal of reducing global warming. Article: The consensus quackery that medical dogma, experts, politicians and mainstream media have promulgated over 3 decades has proven to be a health disaster. 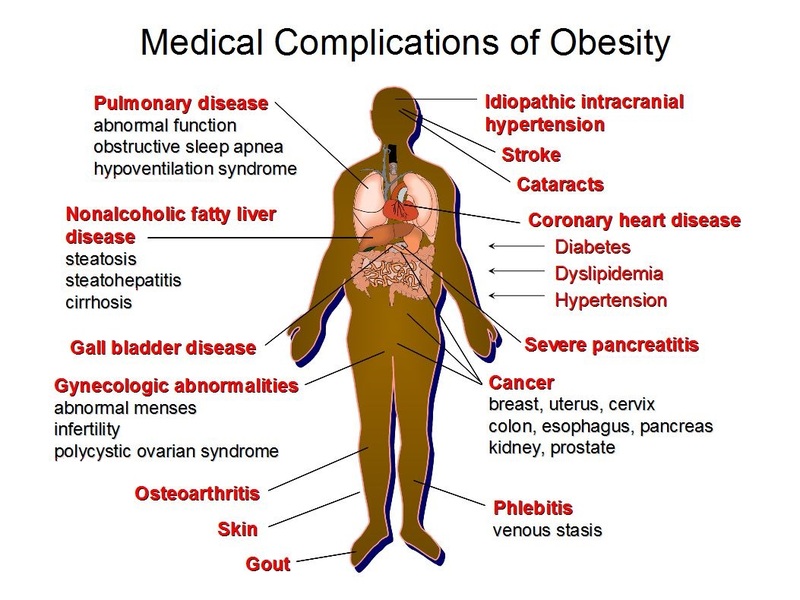 In America and other other industrialized countries, government bureaucrats and health research elites relying on non-validated science have essentially ruined the public's health with growing epidemics: obesity, diabetes and multiple related chronic diseases. Similar to today's popular "consensus" obsession jihad science against CO2, the anti-fat and anti-cholesterol hypothesis of heart disease was embraced by all the right-thinking experts, special interest groups and politicos. This was a mandated politically-correct consensus: fat and cholesterol were the enemy and needed to be eliminated - an enemy that turns out was never supported by the actual empirical evidence. Now after 30+ years of literally wreaking havoc on the health of millions with bad medical science and absurd advice, the experts are finally being forced to admit they were stupendously wrong and skeptics were right. In the meantime, people's lives have been shortened and healthcare costs have been increased by trillions due to an unbelievable surge of chronic diseases tied directly to government diet nutrition quackery. But a tipping point has now been reached, with objective scientists and the public finally rejecting the quacks who remain possessed by the irrational fears of saturated fat and cholesterol. And how much longer will it be before the public finally rejects the bureaucrat-science quacks and political/institutional/celebrity elites who continue to push the failed CO2-based anthropogenic global warming (AGW) hypothesis, whose real political agenda is not science related whatsoever. Article: Current knowledge about ocean circulations (AMOC and others) and their variability are so unsettled that the most sophisticated and powerful climate models are completely unable to accurately forecast these gargantuan climate forces. Ocean circulation is responsible for the immense global heat transport that affects every facet of world climate. And yet, the scientists remain perplexed as to the mechanics and intricacies of the entire system. But what do the climate scientists know for sure? Well...that human CO2 emissions have absolutely nothing to do with this natural ocean circulation heat transport and weather system. That part is settled. Article: The feared dangerous modern global warming that our "elites" constantly obsess about can be so amazingly evasive, and at the same time, so rhetorically threatening. Lincoln, Nebraska is just another of one of the many examples where global warming rhetoric does not match well with reality. The Pope's climate doomsday encyclical has generated a lot of controversy; and has probably doomed him to be eventually nominated for the Catholic 'hall of shame' for fear mongering anti-science. Of course, it's not completely the Pope's fault for his ignorance. The Pope's gatekeepers and advisers can take much of the credit for making sure he did not hear about the actual climate science empirical evidence. One climate doomsday scenario (among many) that continues to have no basis in climate science reality is the infamous prediction that Gaia will soon have a Venus-like atmosphere and boiling oceans...because of humans fossil fuel use. You can rest assured that Pope Francis was made aware of the potentiality of this fringe calamity. It's a calamity that has long been pushed by the world's leading climate science alarmists. NASA's former top climate expert, James Hansen, has been in the past a principal proponent of this particular doomsday prophecy. And of course, he provided the dramatic testimony to Congress in the summer of 1988 that really initiated the fear mongering in the U.S. regarding catastrophic global warming and climate change disasters - like turning Earth into Venus. Unfortunately for the Pope, James Hansen and other hysterical climate doomsday soothsayers, the real world empirical evidence clearly shows that the world's climate is self-correcting and not prone to those scary predicted tipping points and runaway disasters from growing atmospheric CO2 levels. Case in point: The Tropics (20S to 20N latitudes) - A Venus Doomsday? The above chart plot reveals a tropical climate, as measured by satellites, experiencing a very slight cooling trend (blue curve) over the last 20 years. In contrast, the IPCC's latest climate model (CMIP5/RCP4.5) curve (green line) predicted a significant warming trend during that same 20-year period. Going back even further, the red chart plot depicts an 83-month period of exceptional warming right after the Hansen testimony of 1988. In contrast, the IPCC climate models predicted a significant cooling trend for the Tropics for those 83 months - an abysmal failure, represented by a 7 degree trend difference between reality and prediction. Needless to say, although we will, both the consensus climate experts and climate models have been spectacularly wrong in their doomsday projections for the Tropics, which means that human CO2 causing Venus-like conditions for Gaia has no basis in climate science reality. It's unfortunate that this pope fell victim to his own gullibility and the anti-science machinations of his court jesters advisers. But there is good news for the Catholic masses: you can now also comfortably ignore this encyclical since it was produced from the irrational passion of fear versus the known rational, empirical climate science. Previous regional, global and climate model charts. Note: Dataset sources for Excel chart plots and trend lines: UAH satellite dataset and CMIP5/RCP4.5 models' mean tropic latitude dataset. It is well documented that global temperature acceleration has significantly paused since 1998, despite the global CO2 emissions growth rate easily exceeding the business-as-usual (BAU) scenarios presented by NASA's James Hansen way back in 1988. Yet the UN's Paris2015 proposed deep cuts in "dangerous" global CO2 emission growth rates will only delay "climate doomsday" by a laughable 8 months. And that would be accompanied by a likely debilitating economic impact of trillions of dollars - mostly suffered by the world's poor and most vulnerable. The chart on left plots the most up-to-date 15-year average growth rates of CO2 emissions versus the global economy 15-year average growth rates. Surprisingly, as the GDP growth rate declines, on average, CO2 emissions growth just continues. With that pointed out, it's also pertinent to point out that over the last 15 years the U.S. total emissions have actually shrunk, as well as those of the EU. In contrast, CO2 emissions for other major world economic regions have robustly increased over the last 15 years. Note: Source of CO2 emissions data, source of past global GDP growth and 2014 estimated growth. The above Excel chart includes 2nd order polynomial fitted trends of the 15-year average growth rates. The past several days has seen much written about the new revision of the NOAA global temperature dataset - a revision that supposedly eliminates the global warming 'pause' or if you prefer, the 'hiatus'. The revision has received withering scrutiny, with multiple significant criticisms being leveled. Clearly, as the critics point out, this revision is not based on any known physical science principles, nor on any new empirical evidence, but instead on a political agenda that demands "scientists" find more global warming, pronto, for the Paris 2015 climate elite bureaucrats hookup extravaganza. By utilizing questionable adjustments based on even more questionable assumptions, NOAA managed to produce an entirely fabricated increase in the global warming trend from 1998 to 2012. Theirs is not a real global warming event, it is essentially nothing more than statistical flimflam. The complete ignoring of the world's best climate measurement technologies - satellites and the Argo ocean-float array system - likely ignored because both technologies show little if any warming in their respective realms. The authors provided a statistical significance level of a remarkably lame .10 - so lame it pretty much alone indicates this study's claims have the lasting robustness of toilet paper after flushing. This study significantly lowered sea surface temperatures, specifically from 1998-2000. This lowering had the immediate impact of making the temperature rise from 2000-2012 appear much larger than it really was. Study used Arctic land temperatures to manufacture rising Arctic sea temperatures - conveniently ignoring that regional sea temperatures are almost always zero (0°C) since sea ice stretches across the area for a majority of a given year. In a rather bizarre manner that non-biased scientists would not employ, this study massively adjusted up the ocean buoy temperature measurements in order to match the ship records of engine water intake temperature; yet the buoys were designed to measure surrounding sea temperatures, and the engine intakes were not. Scientists familiar with this issue agree that the ship engine enhanced temperature measurements should have been adjusted down instead. Despite all the ludicrous adjustment machinations this newest NOAA revision relies on, the per century global warming trend fabricated (for the 1998 to 2012 period) remains well below even the IPCC's average climate model projections. Relevant to that last point, is the above chart. It's a comparison of warming trends during the 15-year periods ending 2012 (see blue rectangles) and 1997 (see red circles). Using climate agency temperature anomalies that were reported as of the end of 2012, one can clearly see the dramatic drop in global warming rates from the earlier 1983-1997 period versus the period ending 2012. Did it still warm from 1998 to 2012? Yes, it did. But it was at a fraction of the warming trend of the previous 15 years - a definitive slowdown versus the prior warming trend. And as the chart reveals, the CMIP models (the RCP 4.5 scenarios) expected significantly more warming than observed during 1998-2012 period. Objectively, the models predicted an accelerating warming rate, which actually failed to happen, as the empirical evidence proves. Because of this decline ('pause'?) in global warming trends, NOAA felt compelled to simply fabricate more warming in a rather feeble attempt to make global warming seem more of a existential threat that might even scare an anti-capitalism Pope into embarrassing fear-mongering. Unfortunately for the "scientists" at NOAA, despite all their really lame statistical shenanigans, the revised NOAA temperature trend for the 15-year period ending 2012 is still a quite tepid 0.9°C per century - indeed, the descriptor 'lukewarm' readily comes to mind. Additional modern-temp and climate-model charts. Article: Researchers analyze empirical evidence across 8 Korean cities. It is inescapable, cold extremes are much more dangerous for humans than heat waves. Cold waves boost admissions some 50% versus 5% for heat waves. From this peer-reviewed study, one can conclude that global warming will reduce the cold extremes, thus making it safer for human life. Article: Since 1980s, the Australian region has experienced a tropical cyclone trend that would send shivers down the spine of any global warming alarmist. Just another confirmation to be added to the pile of empirical evidence that challenges catastrophic global warming claims. Article: It's indisputably obvious - the attack on scientific honesty and credibility is taking place at the highest levels of government. The EPA pursues a blatant strategy of the 'ends-justify-the-means,' thus trashing the requisites of scientific methodology and integrity. This followup article confirms the sanctioned malfeasance of promoting environmental regulations that can't pass any strenuous cost-benefit analysis. As they say: "Trust No One".